Our experienced manicurists offer complete nails services, including manicures, pedicures, acrylic, gels color, repairs and nails design. 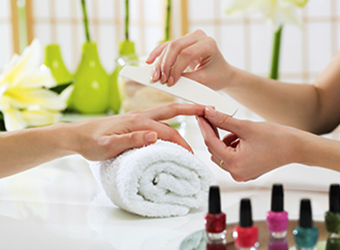 We also offer relaxing deluxe manicures and deluxe pedicures. Such as our Hot Stone, Paraffin Wax Dip, Clay Masks, and Sugar Scrub. All the services are served along with the top-high quality products and materials to ensure your nails beauty and healthy. Sanitation is also guaranteed at our salon. All the instruments are disinfected right after being used. We also offer Party Reservation and High School Students discount. We’re open every day, except Sunday. CHIC NAILS ALWAYS WELCOME YOU!